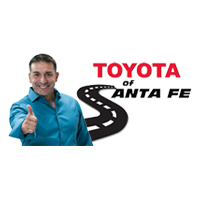 Toyota of Santa Fe is happy to be part of this year’s Santa’s Village Event in Santa Fe. 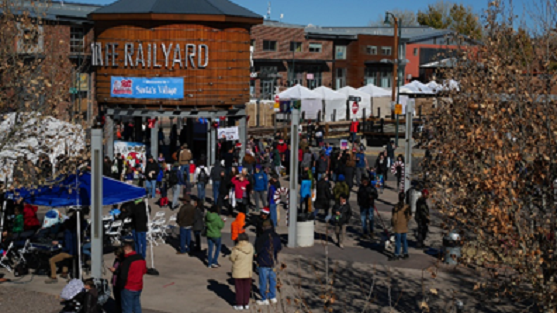 On Saturday, December 15, the Rio Metro Regional Transit District is hosting the 6th Annual Santa’s Village at the Santa Fe Railyard. This free, family-friendly event will feature games, crafts, interactive displays, mini-train rides, and, of course, pictures with Santa! Participants will also enjoy vendor booths, exhibits, live entertainment, a holiday market, a sensory-friendly zone, and more. There will be extra north and southbound New Mexico Rail Runner Express trains to accommodate guests. Help us choose which new Toyota Model you’d like to see on display at this event by Emailing Us now. the bolidays and spending time with your family. our hours will be slightly different. Tuesday, December 18th: 7am-11:30am, -3pm-7pm. Due to an Employee Event, we will be Closed from 11:30am-3pm. Monday, December 24th: Christmas Eve. CLOSED. Regular Hours: M-F 7am-6pm. Saturday 8am-5pm. Regular Hours: M-F 7am-530pm. Saturday 8am-5pm. Regular Hours: M-F 830am-7pm. Saturday 9am-6pm. Some of these are available through Parts & Accessories or with your new Toyota.Toyota of Santa Fe does not endorse or recommend any of these items. Please see your service advisor before installing any item on your vehicle. Wiper Tags are designed to cover rear wipers. Toyota of Santa Fe does not endorse or recommend any of these items. Please see your service advisor before installing any item on your vehicle.